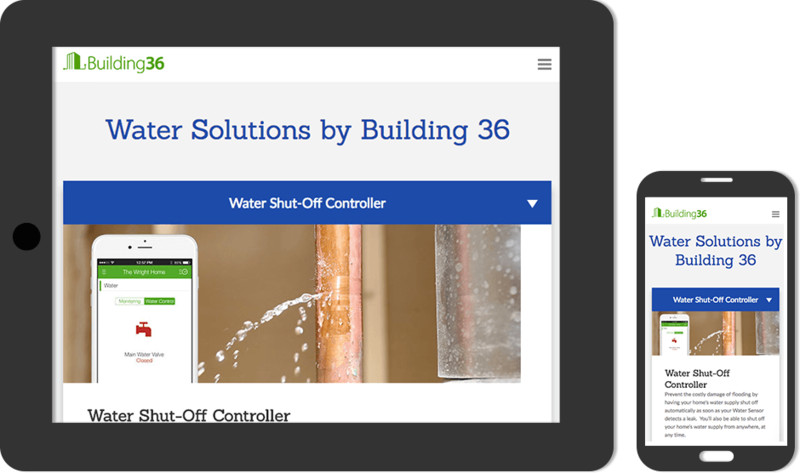 Building 36 is a company out of Needham MA that developed an interactive platform offering industry leading automation and energy management solutions. Their hardware is installed by licensed professionals and users are able to monitor the efficiency of their home plumbing, heating, cooling, and electrical systems. 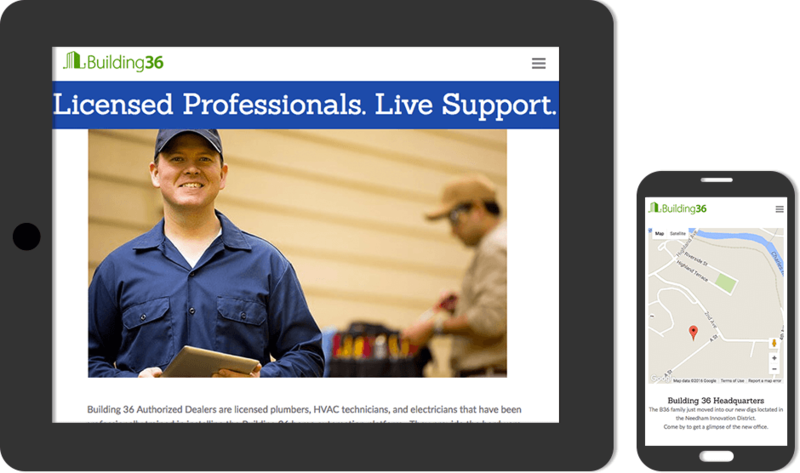 Building 36 had previously created the design for their website and needed it built using WordPress so that they can easily add new products and update the website’s navigation. 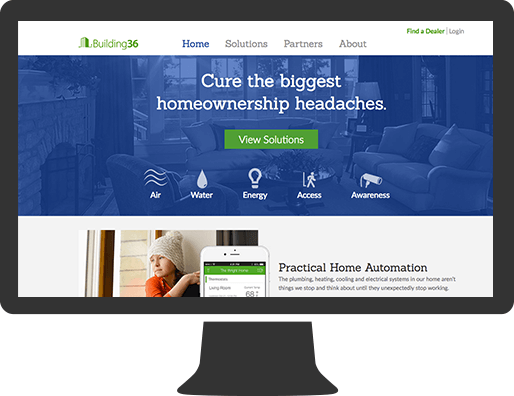 CINTACS worked with Building 36’s graphic designer and marketing specialist to translate their designs into a custom WordPress website to fit their specific needs.